3/8 -- It's a little clearer now why Bam canceled that 7 PM show, and why he was agitated when he showed up. Bam posted a video blasting his wife, Nikki, for bolting in their car with his credit cards. He said he couldn't check in to his hotel prior to the show because of his "street ho" wife. His words. No word yet if Nikki and Bam ever reconnected Thursday night. 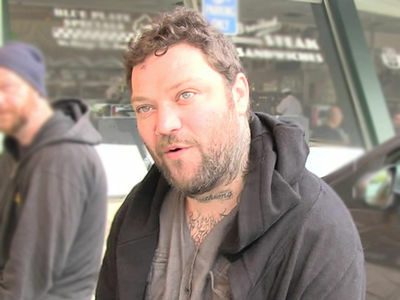 Bam Margera is unloading on his manager in shocking new footage obtained by TMZ ... screaming obscenities and threatening violence at a comedy club in New York. Folks at the West Side Comedy Club tell TMZ ... Bam's team asked the venue to cancel the 7 PM set, but were still hopeful about the 10 PM gig. 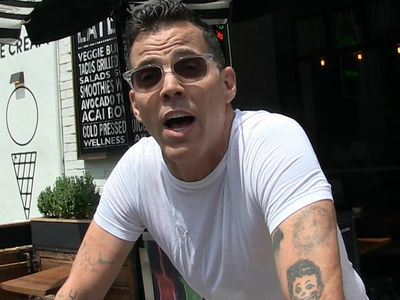 But when Bam showed up at 8 PM and the place was empty the former "Jackass" star started ripping his manager a new one. Ya gotta see the video ... Bam is PISSED, and he calls his manager a "f***ing p***y" before threatening to smash his face. We're told Bam appeared intoxicated upon arrival, and even though they tried to explain that the audience wouldn't start showing up until 9 for a 10 PM show, he was seething. After beefing with his manager, we're told Bam stormed out of the venue and flipped off the parking attendants as he climbed into a waiting car. 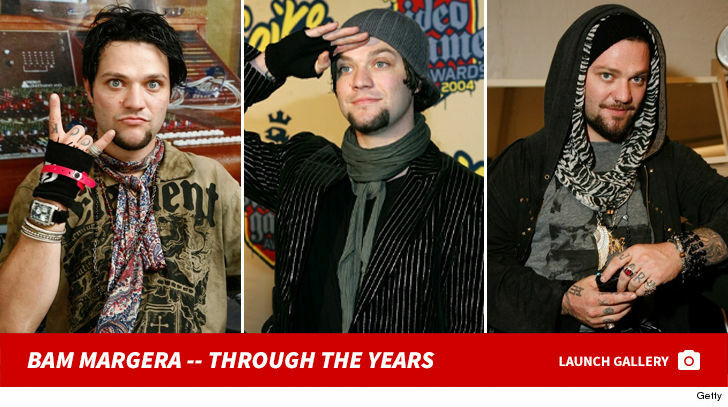 As you know ... Bam's been in and out of rehab for alcohol abuse. 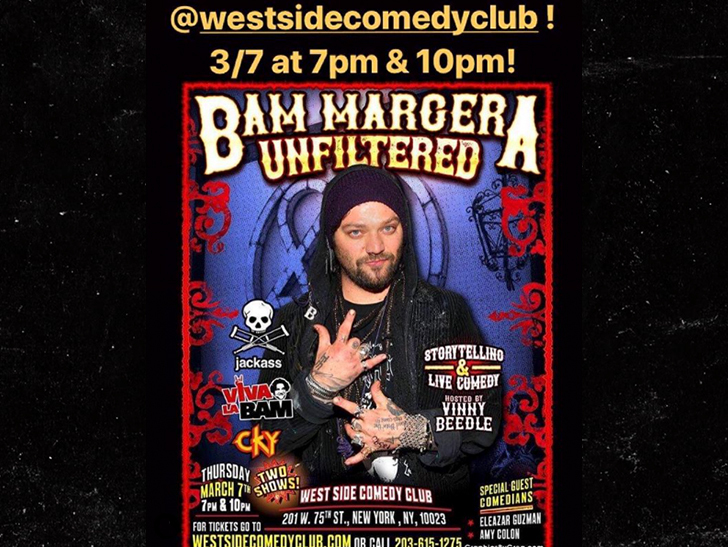 The comedy club scrapped both of Bam's sets, which are part of his tour through New York and Connecticut.